If there's any day that parking lots will be full, it's Black Friday. And if there's any city that loves its parking lots as much as shopping, it's Houston. The folks over at Strong Towns are hosting Black Friday Parking "a nationwide event to draw attention to the ridiculousness of minimum parking requirements." This will be a way to share the frustrations surrounding the rationales of the minimum parking requirements that are found in many cities, not just Houston. 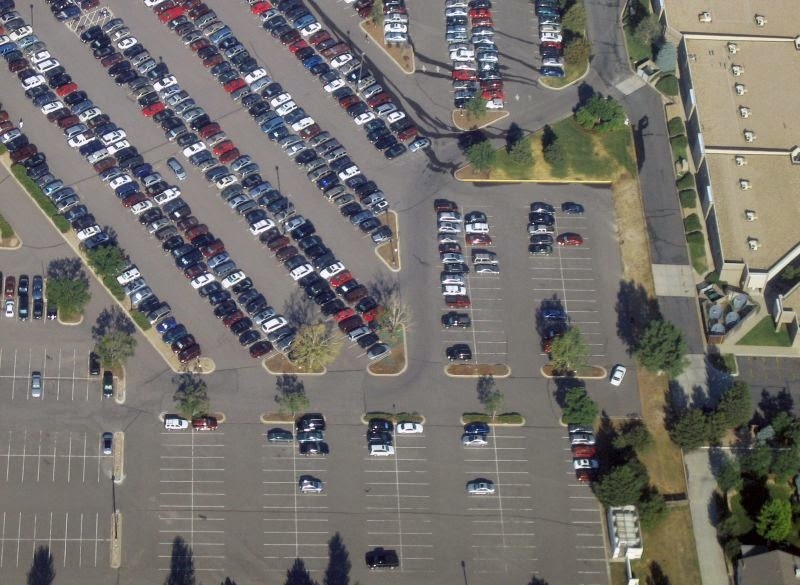 Strong Towns, which supports "a model of growth that allows America's cities, towns and neighborhoods to become financially strong and resilient", asks that urbanists and city enthusiasts capture parking lots that are empty. Take a picture, share it by using the #blackfridayparking hashtag on Twitter and Instagram, and tell others why you're taking pictures of parking lots! So, if you're around Houston, Dallas, Austin, San Antonio or a shopping center in any other city this Friday and see a large parking lot with empty parking spaces in the midst of the Black Friday shopping rush, snap a picture and send it to Strong Towns. And, if you're really crazy enough to go out shopping Friday morning, here's the best Black Friday advertisements so far.